Are Chronic Challenges Cutting into Your Bottom-Line and Causing Your Profits to Suffer? Accordingly to a 2014 Gallup study, 68.5% of workers in the United States are either disengaged or actively disengaged. An unengaged workforce is more prone to on-the-job safety incidents, low quality of work, critical mistakes, and turnover. Overall, disengagement costs businesses billions of dollars every year. No organization is immune to challenges. 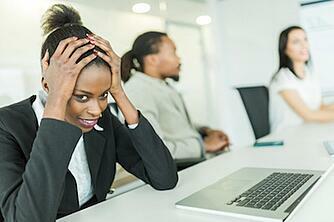 Every organization, at one time or another, faces crippling challenges in the workplace. At C.A. Short Company, we know and understand the frustrations you face, and we can help! We possess the resources and experience your organization needs to transform its challenges into triumphs. The connection between Engagement & your bottom line. Stop the cycle chronic employee absenteeism. Stop employee theft through purpose, loyalty & ownership. Creating a safe work environment through Engagement. How employee disengagement hinders quality. If your employees are happy, your customers will be, too.